Holi Themed Pre-Wedding Shoot - An Affair with Colours! With Holi coming up soon, we couldn’t help but share this vibrant pre-wedding shoot which absolutely stole our hearts. From the perfect backdrop comprising of trees and gorgeous sunlight to the love birds’ simple white attire - everything is on point in this shoot and everything unified beautifully to produce a canvas of love and colours. The festival of colours has always been a joyous and fun filled one and the couple’s expressions resonate just that! 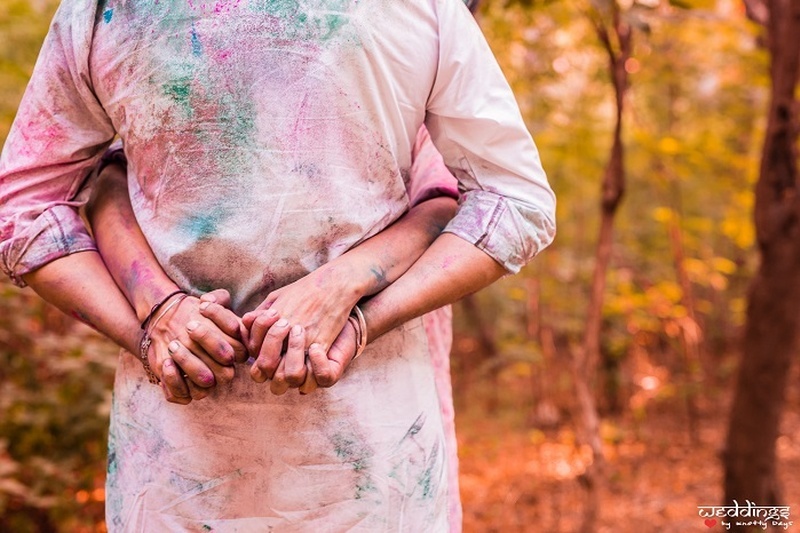 Surprise colour showers, ear-to-ear smiles and expressive eyes - everything about this Holi-themed pre-wedding shoot tells us how much more colourful their lives are because of each other!